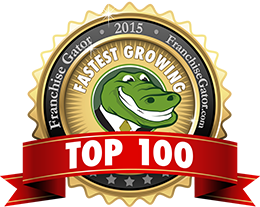 Franchise Gator released the list of the Fastest Growing Franchise and Business Opportunities for 2015. Healthier4U Vending is Ranked #1 for 2015. Congratulations to all of our Affiliates and staff here at Healthier4U Vending! © 2019 Healthier4U Vending. All Rights Reserved. First required First Name is required. Last required Last Name is required. Street Address required Address is required. State required State is required. Zipcode required Zipcode is required. Capital to Invest required Capital required.